A writing project in December has opened up a whole new way of interviewing prospective job candidates and shaken up our hiring process – for the better. I had been tasked with preparing a piece on behavior-based interviewing for the 2018 Diversity & Inclusion Annual Report for Warner Norcross + Judd. Now in its 13th year, the DIAR highlights programs, people and initiatives working to make the law firm a more diverse and welcoming place. Warner began using behavior-based interviewing for attorney interviews during the previous year. The premise, as explained by HR Director Cheryl Coutchie, was deceptively simple: Structure questions that elicit action-based responses rather than theoretical answers about beliefs and values. In other words, get prospective employees to tell stories about what they HAVE done in real-world job situations, not what they MIGHT do in a hypothetical circumstance. As folks who pride ourselves on our story-telling abilities, the concept resonated with us. But it proved to be easier said than done. We threw out all the questions that had populated our interview matrix, which left us with a set of skills we knew we wanted in a new teammate. Cheryl was kind enough to spend 90 minutes with me and Brian, coaxing us as we crafted new questions to get at the competencies we need. What has your most challenging writing assignment been? Tell us how you were able to successfully complete it. We all make mistakes we wish we could take back. Tell us about a time when you wish you’d handled a situation differently. Tell us about a time when you needed to get information from someone who wasn’t very responsive – what did you do? If you had three job offers on the table, how would you choose? Cheryl also schooled us in how to listen and evaluate the responses. 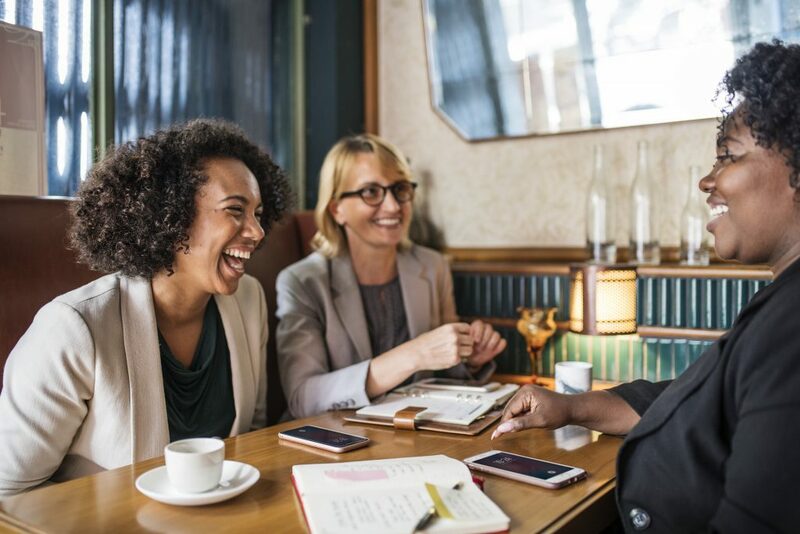 She noted, and we agreed, that using behavior-based interviewing removes a lot of the bias from the interview process by identifying candidates who meet the needs of the position rather than simply the candidates we like. In addition to recasting our questions, we also modified the interview process itself. After reviewing a resume and portfolio, we asked job candidates to take a timed writing test. We often write when the clock is ticking, so it’s important our team can organize their thoughts and write quickly and cleanly. To test this, we provide each with a series of facts and ask them to spend 20 minutes crafting a press release using their best AP Style. The writing test used to be further along in the process, after two preliminary rounds of interviews and just before bringing a candidate in to meet with clients. Moving it so much earlier gave us a second good preliminary screen – after all, if you can’t put together the start of a decent press release in 20 minutes, SPR is probably not going to be a good fit. After a successful writing test, candidates are asked to do a 20-30 minute phone conversation. If the call goes well, the next step is an in-person meeting with multiple members of our team that typically lasts an hour, followed by an in-person meeting with the client where the successful candidate will embed. We’re still in the middle of refining this process, but the initial results have been promising. We have a better upfront idea of how someone will write under pressure. We’re spending less time interviewing people who don’t have the writing chops it takes. And we’re giving at-bats to qualified candidates who might not have taken a traditional path to an agency. We hope to have a new team member at our conference room table in the coming weeks – one we will welcome with new socks, high expectations and a more solid understanding of our new colleague before s/he even walks in the door. I so enjoy reading about the SaboPR journey. Thanks for sharing these newest insights! Thanks, Mary — we always appreciate hearing your kind words of support.